The world of computer security keeps changing. New kinds of attackers appear, with new targets, new motivations and new methods. To understand and to fight the attacks, we need to understand who the attackers are. 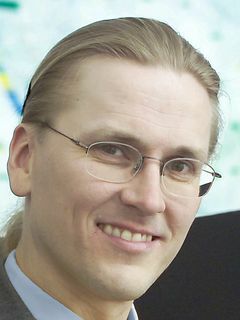 Security expert Mikko Hypponen will look at the latest big hacking cases and reveal what really went on. What are the threats? How can they fought? And what are the opportunities in creating new security solutions? is a global security expert. He has worked at F-Secure since 1991. He has written on his research for the New York Times, Wired and Scientific American and he appears frequently on international TV. He has lectured at the universities of Stanford, Oxford and Cambridge. He was selected among the 50 most important people on the web by the PC World magazine and was included in the FP Global 100 Thinkers list. Mr. Hypponen is a member of the board of the Nordic Business Forum. He sits in the advisory boards of t2, Social Safeguard and Hoxhunt, and in the advisory panel for the Monetary Authority of Singapore.